Today’s mattress review is based on a very new bed present in the market today; the DreamCloud Hybrid mattress. If you are in the market looking for a luxury hybrid bed without emptying your pockets and you want the feel of sleeping on the cloud, then DreamCloud can be a great choice for you. Keep on reading our DreamCloud mattress review to find out more about this mattress. 2 What Type Of Mattress Is The DreamCloud? 3 What Is The Firmness Level Of DreamCloud Mattress? 4 How Many Layers Does DreamCloud Mattress Have? 5 How Is Sinkage And Motion Transfer In DreamCloud Mattress? 6 Does DreamCloud Mattress Get Hot At Night? 7 Does DreamCloud Has Smell? 8 Will You Need A Base For This Mattress? 9 What Type Of Cover Does DreamCloud Have? 10 How To Look After DreamCloud Mattress? 11 How Durable Is This Mattress? 14 How Is The Mattresses Everlong Warranty? 15 How Much Does DreamCloud Mattress Cost? 17 Who Is DreamCloud Mattress Made For? DreamCloud is a hybrid mattress that aims at meeting many requirements of what a premium quality mattress should provide. It comes with eight distinctive layers that provide you support and comfort, Dreamcloud mattress uses the finest materials in its construction. With the help of the tufted construction and cashmere cover material that provides you with temperature regulation along with the gel memory foam present in the upper layer of this mattress, DreamCloud is designed to help promote a cool and comfy sleep. Resting below are the latex layers and a maxi of memory foam which proves the finest materials it is made up of as compared to other hybrids. DreamCloud Mattress makes uses of multiple foam layers that leave it with a medium firmness, there is still no significant contouring or hug to the mattress. If you want to sink in the mattress while sleeping, then you must move on from the DreamCloud Mattress. For all the back sleepers out there, DreamCloud Mattress is made with pocketed coil support so that you are aligned all through the night. To learn more about this new mattress, ratings, features, and recommendations then keep on reading this DreamCloud mattress review and take help when making your decisions. DreamCloud Mattress is a luxury hybrid mattress that comes with eight balanced and high quality memory foam layers to provide comfort and an original coil system. This mattress is designed with a cashmere cover that is hand tufted, unique layers of premier foam, heat treated pads to keep you cool, supportive coils that are springy and other unique features. All these features come together to make DreamCloud mattresses one of the best luxury mattresses on the market. Its plushy Euro-top acts as a contouring pillow and contours to the curves of your body; its cashmere cover helps in cradling the body along with its topmost memory foam layer and the latex layer underneath. It provides the ultimate edge support with the help of reinforced sidewalls; keeping your sleep constant as you transfer from one edge to the other. These specialized features help in making your DreamCloud mattress feel new every single day. With its lifelong warranty you can enjoy the feel of this mattress every year, and if this is not enough, then DreamCloud also comes with professional cleaning. When you buy this mattress, you can have it professionally cleaned after owning it for a year for free. After owning this mattress for five years if you require a change in the material or cover then DreamCloud reconditions the mattress to a brand new condition. This is done free of cost. What Is The Firmness Level Of DreamCloud Mattress? As mentioned previously in this DreamCloud mattress review, this mattress has only a single level of firmness, and that is medium firm level. On a firmness scale, DreamCloud mattress would stand at a whopping 6.5 out of a 10; this level of firmness is also known as “luxury firm.” Luxury firm meets with the needs of the majority of the sleepers irrespective of their different sleeping positions. Since an average sleeper prefers the firmness level of 5-7 on a scale of 10, this puts DreamCloud Mattress right in the middle of the range. With its cutting-edge technology and the high-quality materials it uses, DreamCloud creates the best support system for your spine and keeps it aligned all through the night. The feel of the soft cashmere, encased coils and the high-density foams assist in providing you with the finest sleep. If you look at the coils present in this mattress closely, then you will see that the sheathed hypo-allergenic coils provide their users with the utmost support. They help in optimal alignment of your spine so that you can have a comfortable sleep all through the night. DreamCloud Mattress is designed to evenly distribute pressure through your body while contouring itself to the position you sleep in. Its ability to mold around your body and weight is what makes this mattress high performance. DreamCloud Mattress is an ultimate game changer for back pain, hip, neck, knee surgery, light sleeper, stomach sleeper or any other sleeper. This mattress feels like sleeping in a great hotel. How Many Layers Does DreamCloud Mattress Have? The mattress has eight premium quality layers that help in providing you with an increased amount of comforts. Read on this DreamCloud mattress review to find out about the layers present in this mattress. DreamCloud true tufted cashmere top helps in temperature regulation providing you with breathable long sleep. It has a high quality softness and keeps bedbugs away since it is naturally resistant. This cover is a blend of polyester that increases its luxurious softness. The second layer of DreamCloud mattress adapts to the shape of your body so that you can sleep comfortably all through the night. This memory foam is infused with gel to help provide a cool temperature while you sleep and also be supportive. This layer is designed to add in softness to provide you the feeling of sleeping on a cloud. This layer is incredibly unique to the DreamCloud mattresses increasing its comfort level. This super density foam layer of DreamCloud mattress is added to keep your back aligned and provide to you with ultimate support. This layer helps in cradling your spine regardless of the sleeping position you prefer. The micro coil firmness system that has coils encased in foam is what makes up this layer. This layer is designed to provide your body with neutral spine alignment and limited motion transfer. These coils aim to provide you with specialized support throughout your body for different sleeping positions as well as an increase in airflow. This layer also works in the same way as the layer above except for the coils. Its main focus is to keep your back alignment neutral and to cradle you all through the night for a deep and peaceful sleep. This layer of natural latex helps in giving your mattress a slight bounce. Made with hypoallergenic and premium quality latex adds in more comfort and contouring. This is the last layer of the DreamCloud mattress and only aims to provide the mattress and your body with support. How Is Sinkage And Motion Transfer In DreamCloud Mattress? Since DreamCloud mattress is a luxury hybrid mattress that consists of high quality memory foam that is able to absorb motion. This helps in getting rid of any disturbance you may feel, caused by your partner and their sleeping movements. Even though this mattress does have springs the DreamCloud does not have excessive bouncy feel due to its patent-pending coils; these coils provide support without being too springy. Motion transfer does not stand a chance due to the layer and layer of high quality memory foam and plush Eurotop cashmere. The finest part about this bed is that the springs in it help in providing a strong base for the foams, so you do not experience sinkage. If you are looking for a plush sleeping experience that makes you feel as if you are sleeping on clouds rather than a bouncy, sinking mattress, then DreamCloud Mattress is the ideal mattress for you. Does DreamCloud Mattress Get Hot At Night? As compared to many other memory foam mattresses that get warm when you tend to sleep on it, the DreamCloud mattress does not get hot. This is what makes this mattress stand out; due to its multiple built-in cooling systems; it does not get hot in the middle of the night. The Eurotop tufted cashmere joined with a heat treated cotton pad assists in the keeping the temperature of this mattress cool and comfortable all through the night. Another fine feature of this mattress is that you get a year-long trial so you can try sleeping on this bed for all four kinds of weather and then decide if it’s worth your money. But with this DreamCloud mattress review, you can easily see understand why this mattress is so famous today and how it is one of the cooler hybrids present in the market. Off-gassing is a problem that most new mattresses have and it can tick of the customer right away. However, with DreamCloud mattresses, the foam used on them is of top-notch quality along with the state-of-the-art construction, and so off-gassing is very limited in these mattresses; some might even say it is non-existent. The faint smell of fresh foam that may reach your nose when you open this mattress may faint quickly and dissipate once the new mattress is completely unpacked. This smell comes from the vacuum that the mattress is packed in and not from the usage of chemicals. Once the mattress is opened and starts to breathe, the new smell dissipates into thin air. Will You Need A Base For This Mattress? DreamCloud will no doubt be one of the most comfortable mattresses you can ever own if you set it up on the floor, basic frame of a box spring. It can easily get fixed into bed frames that are 15”. If you do not want to place it on the bed, then you can place it on your floor but just makes sure that the floor does not contain water or excessive moisture. What Type Of Cover Does DreamCloud Have? 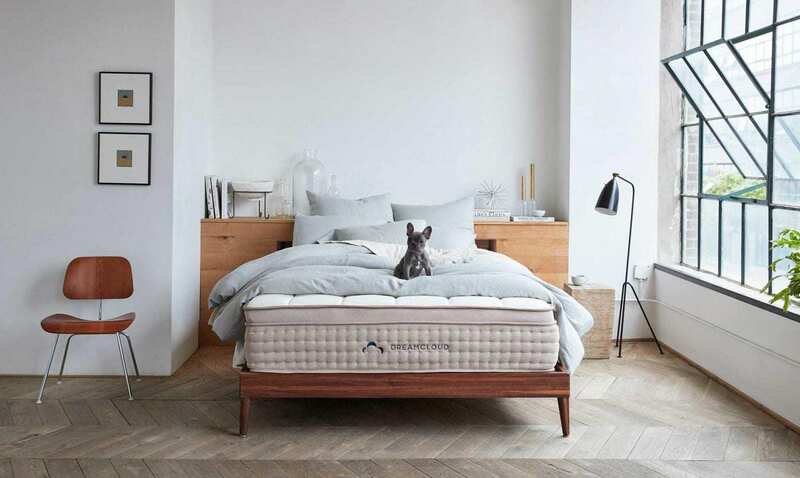 The cover of this mattress, as mentioned multiple times in this DreamCloud mattress review is made from hand-tufted and luxurious Cashmere wool. The best feature of this material is its ability to breath and be incredibly soft. Its distinctive composition and construction help in contributing to the softness of this mattress as well as helping with temperature regulation; overall this helps in increasing the satisfactory level of this mattress. The production process of this mattress is artisanal. The cashmere cover is anchored on to this mattress’s dense foam layer via skilled worker. They stitched this cover with the help of double tufts adding to its longevity and finely finished work. Double tufting is a distinctive procedure of joining all the mattress layers from top to bottom to help create a unique feel of a soft yet firm mattress. Apart from its superior arrangement, DreamCloud mattress is without a doubt beautiful with its soft and plush handicraft tufting and the slight golden hue it has. How To Look After DreamCloud Mattress? Most mattresses require occasional flipping over at least once every month, but with DreamCloud mattresses, you no longer have to worry about flipping it over. However, it is still recommended that you rotate your mattress once or twice every year. The best part about the cover of this mattress is that if you or your kid spills something on top of it, then you do not have to worry about how to get the stains off. The cashmere cover can easily come off by unzipping it, and you can get it spotless clean using a mild detergent. When it comes down to routinely cleaning your mattress, it is advised that you make use of very mild detergent such as dish detergent or cloth detergent and you use old water. This will help in cleaning all spots, stains, and dirt that may accumulate on your mattress making it dirty. When cleaning your mattress make sure that you use gentle and circular motions. Never ever rub on your DreamCloud mattress. Once it gets cleaned up, you can place a water-resistant cover on your bed to further protect the cashmere cover in the future. With the amazing warranty, DreamCloud provides to their customers; their mattresses are something worth investing it. This mattress has the strongest warranty in the mattress industry since it is everlong and you can get your beloved mattress re-conditioned and clean without any cost. How Durable Is This Mattress? With 15” of soft and plush luxury, the DreamCloud mattress is no doubt very durable. As mentioned above in this DreamCloud mattress review, the warranty for this bed is Everlong, so this means that it can last forever. When it comes down to cleaning and re-conditioning your mattress, DreamCloud even provides these facilities to their customers with no extra free, adding more years to its durability. This mattress is assembled in the United States and uses state of the art construction and imported material of premium quality. DreamCloud meets the industry’s standards and all kinds of certifications. The sizes available in the DreamCloud mattress include the basic sizes of the full-size mattress and king size. It also comes with twin size, twin XL, Queen, and California King sizes. This 15” mattress has a weight between 88 pounds to 109 pounds. DreamCloud gets delivered right to your doorsteps, and with its easy setup, you can assemble it yourself. Since this is a significant mattress, it comes with a white glove delivery option. This option is great for those who require assistance when setting up this mattress. The friendly yet professional team of DreamCloud will help in coordinating with you, and a local member of the mattresses team will assist you with this bed. When it comes to shipping, DreamCloud offers free shipping all around the United States. However, additional charges are added for shipping to Hawaii and Alaska. Once ordered, your shipment will be delivered to your doorstep within one to five business days due to DreamCloud’s fast delivery policy. But if you choose the white glove delivery option, then you will have to give their team an additional two days to set it up. To ship DreamCloud mattress, the company compresses it before sending it to your doorsteps. 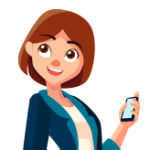 DreamCloud shows how much they trust their product and how much believe they have in their mattresses with their yearlong free trial. They allow you to test their mattress in all four seasons along with a risk-free and 100% money back guarantee. With their four-season trial, you can easily test their temperature regulation feature and decide whether it is worth your money or no. Customers get a full year to test out their products and sleep in on their plush life mattress to find out if this is the ideal mattress for them. If you decide that this mattress is not for you then without mentioning your reason, you can simple contact DreamCloud, and they will immediately arrange a pickup and refund your money right away. How Is The Mattresses Everlong Warranty? As mentioned in our DreamCloud Mattress review, DreamCloud offers an Everlong warranty. This means that the warranty of this mattress lasts forever. This unique warranty is the strongest warranty offered in the industry and is also one of the best. It can be very difficult to surpass it. This warranty guarantees the durability, composition, construction, materials and the quality of this mattress forever; however, is only specific to the original seller. This company stands firmly behind their mattresses and backs up any claims made on their mattresses. They are increasingly confident that consumers will find their mattress to be the best and only mattress they will ever need. After owning this mattress for the first 10 years, DreamCloud promises to replace your old mattress with a brand new one without any additional charge. If there are any defects in the material or workmanship, they will still have no problem replacing it. There are no pro-rata conditions. Every year after owning this mattress, DreamCloud will repair and recover your mattress or provide you with a brand new one. If there are any manufacturing shortcomings or a material defect, then all transportation charges will be waived right away. How Much Does DreamCloud Mattress Cost? Even though this is similar to your “bed in a box” mattress, it is important to keep in mind that 15” mattresses were only available at retailers or mark-ups; this mattress, however, delivers it to your doorsteps. Mentioned above are the original prices of DreamCloud mattresses along with their discounted prices. These discounted prices are available on their website sometimes so you can either buy this mattress at a full price or you can save $200 and grab it during their discount spree. The prices of these mattresses are very reasonable as compared to other hybrid and luxury mattresses present in the market. With the ratings on this mattress and its features, it can be a great mattress to buy. DreamCloud Mattress is exclusively available only on their own personal website. This company does not operate on locations and retailers nor is this mattress sold at online shopping websites such as Amazon and eBay. However, the accessories for this mattress are easily available at different websites and retailers outside of the DreamCloud website. Who Is DreamCloud Mattress Made For? The comfort of the sleeper and the spinal support a mattress offers is the most important thing to look for in a bed. There are three kinds of sleeping positions, side, back and on the stomach. DreamCloud provides top quality sleep for back sleepers to matter what their weight is. it keeps them supported and comfortable all through the night. For this kind of customers, DreamCloud is great for users weighing less than 13o lbs. or who have a weight between 130 lbs. and 230 lbs. But as the weight increases from 230lbs. DreamCloud may cause a slight sinking in their midriff area. This can cause their spine to bend abnormally. For side sleepers weighing less than 130 lbs. this bed may be too firm for them to enjoy. This may lead to a slight constriction in their shoulder area. However, for side sleepers with a weight of 130lbs. to 230lbs. or weight between 230 lbs. this mattress may be great. DreamCloud mattress aims at offering a premium quality luxury mattress to its customers at an affordable price. With its high-quality materials, state of the art construction, 8 layers of memory foam, advanced temperature regulating system, patent-pending coils enclosed in memory foam, the DreamCloud mattress provides to you with great benefits and mind-blowing features. All these features are what sets this mattress apart from the other. DremCloud motion isolation features help in quick absorbing of motion hence not disrupting your sleep. It has minimal sinkage and is assembled entirely in the United States making it a great mattress. Along with its Everlong warranty and free trial, you can easily give it a try and decide if this bed is the one for you. Hope this mattress review proves helpful to you and assist you in making your decision. Comes with state of the art and luxurious construction with a low price. Is very lightweight and can easily be moved around. Provides free delivery to customers in almost 48 states. Has an everlong warranty along with a year-long sleeping trial. The medium firm feels to this mattress is not ideal for lightweight sleepers. DreamCloud mattress aims at offering a premium quality luxury mattress to its customers at an affordable price. Briella is a gem of a person and a dedicated writer. She is so focused and diligent in her work. Every article she writes is well researched and creative. Briella likes sketching in her free time. She loves to spend time in nature and exploring new places. Briella is the star Writer.